Three months ago, today was the first full day I spent by myself here in our new home. It’s going on a month now, since Sherod retired and came home too. We’ve started finding new rhythms and routines. We enjoy each other’s company enormously these days. 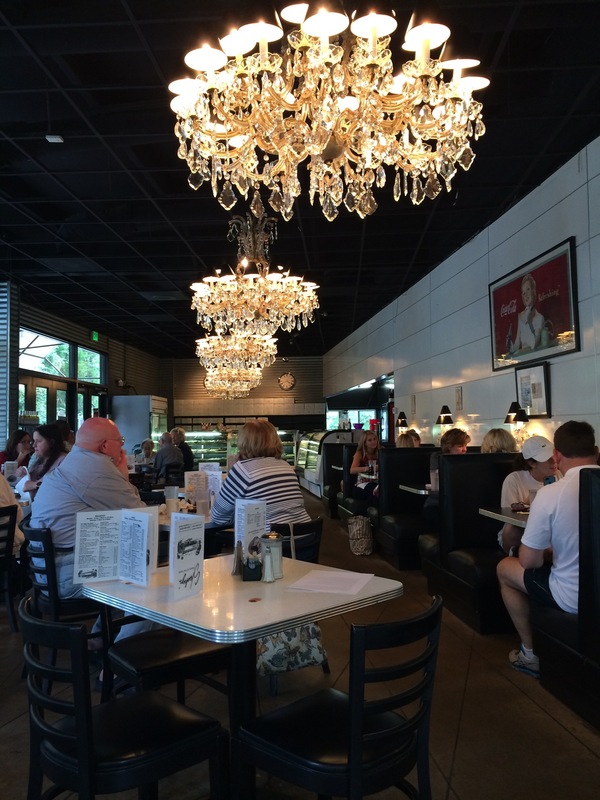 Yesterday we ran down to the Highway 80 Café for lunch and then went on to Hayneville, the county seat that also has the closest grocery store, for a quick errand. The day was crisp, light and beautiful. In the truck, we both reached out, almost exactly at the same time, to hold hands and rode quietly the rest of the way. I keep saying this, I know—but the grace of these days exceeds my ability to receive it all. And in that paradox that it my life, I need every bit of that grace. Over the past week I have received a series of calls and email contacts from Ft Lauderdale as a group of people I deeply trust, admire and respect have tried to make sense of the turn ministries we were all so invested in have taken. It is not my story and not my story to tell. The news I am getting is surely fragmentary. But what I have heard and read with my own eyes reaffirms the horror of the way alternative narratives emerge and compete and cause appalling collateral damage. There’s nothing new under the sun—it has always been like this in the human condition: you just have to read Genesis to understand that human frailties and failures collide, amplify and concentrate into carnage. Precisely because I cannot play a part in this new chapter of the ministry I started, I am filled with pain. I value the relationship I have with each of the people who have contacted me; I can and am willing to act as a sounding board, ask questions, provide some historical context. I can remind and be reminded of the goodness with which we served in our community. But when I hang up from these conversations I am washed over with despair. 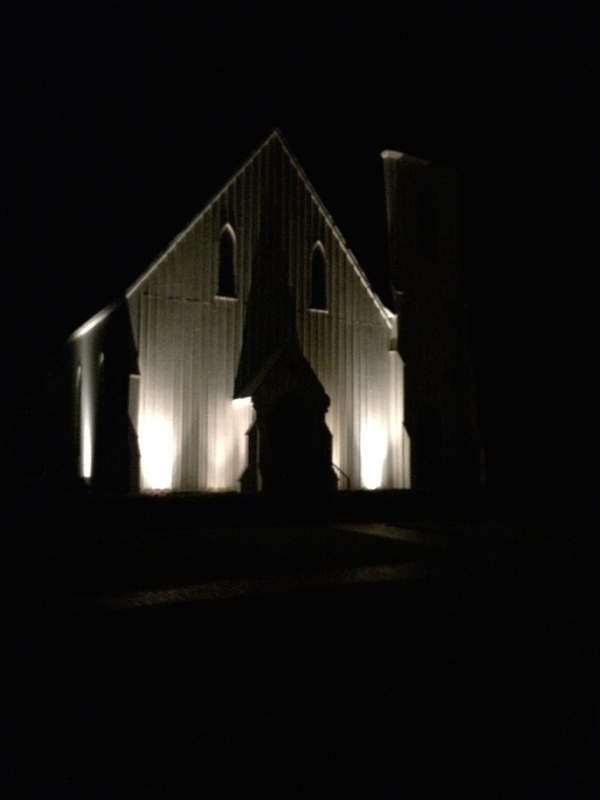 Last night I went back to my night walking—the work of the day on the farm was not sufficient to still the sadness. Lowndesboro has about 1.5 miles of sidewalk that’s reasonably well lit and the country roads around our farm don’t have enough space on the sides to be safe, especially with no street lighting to speak of. I have to ride my car to where the sidewalk begins and park in front of the cemetery. From there, I walk to Highway 80, where the sidewalk ends. Although some cars go by, and I walk by homes with lights on, the solitude is almost total and enormously comforting. It is so much darker than my old route in Fort Lauderdale. I go up and down hills though not steep ones. I go by 5 small churches including St Paul’s. And if there are no people to run into, I am accompanied by the firmament that feels like it presses from above and behind and before and both sides. All those stars. I am so thankful for them. I listened to the plaintive music of Pink Floyd, Wish You Were Here; as I walked, I was able to walk away from all that tug and pull of the past. I walked back into my own life. Previous owners built a room with a deck over the garage of our new house. We are in the process of our own remodeling. The kitchen is gone, replaced by an infinity of fine cement dust that will grow a bit more as the tile in the breakfast room is jack-hammered out today. Yesterday, I assisted again at St Paul’s, L’boro. This time I got to help baptize a delicious little boy. It was a busy and noisy and lively time. Last evening I stood on the deck upstairs and just watched for a while. Except for the fact that one of our resident horses was a little gassy, shall we say–very loudly, comically gassy, in fact–our farm was still and achingly beautiful to behold. My friend Mary brought me two beautiful, home grown, organic butternut squashes when she visited from Indiana weekend before last. Today I roasted and made soup with them. It is delicious and even leaving some for tomorrow night, I was able to freeze two more containers of the soup. Yuuuu- uum! 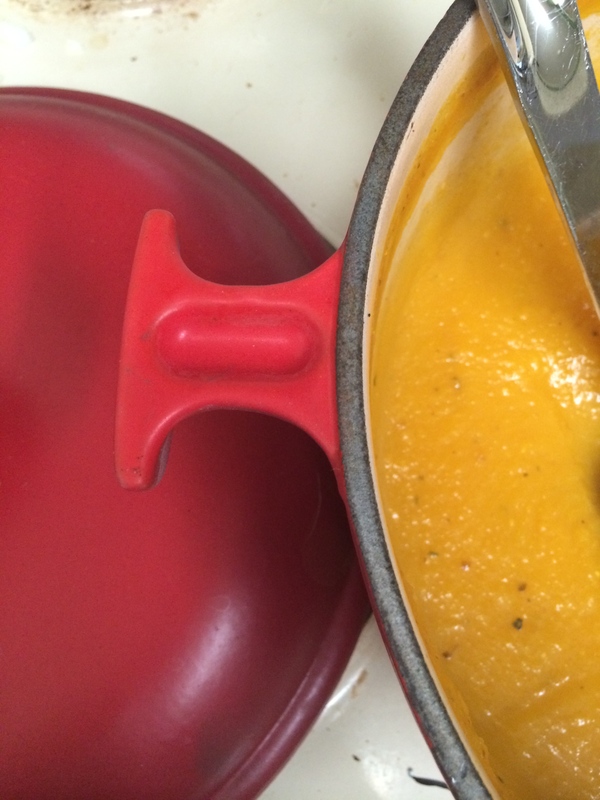 I looked at the colors on my stove and realized–it’s autumn–and felt almost giddy with excitement. We are still a little on the warm side here in Lowndesboro, but mornings and evenings are getting cool and it won’t be long till we’ll need jackets at both ends of the day. On Monday night, my last night with my dad in the old house in Boquete, he came into my room and handed me a bunch of pictures. This one was at the top. In 1995, Sherod began a DMin program in Chicago. For that year and the following three years, he was going to be in Chicago for six weeks each summer. I worked at FedEx and did not have anything near that much time off. We discussed whether or not I’d come see him. It all felt awkward—he’d be studying, in his groove, and somehow, it seemed important for him to do what he needed to do those six weeks without the ‘little wife’ getting in the way. When I look back on those years, I was still way more dependent on Sherod than was probably healthy and scared to death of not seeing him for 6 weeks. I was also jealous that he got to do that cool thing while I worked through the summer. It is the first time I ever asked myself really clearly how I could use a chunk of time to step out on my own to do something fun. After a lifetime hearing (and internalizing) what I wasn’t capable of, I wanted to try something that pushed on me. My brother had sailed a lot when we were teenagers and I’d always been told I shouldn’t because of my hip. The one time I went out with Hans on his Sunfish, I got tangled in the lines when we came about and fell in Lago Calima and was drug along swallowing copious amounts of water. 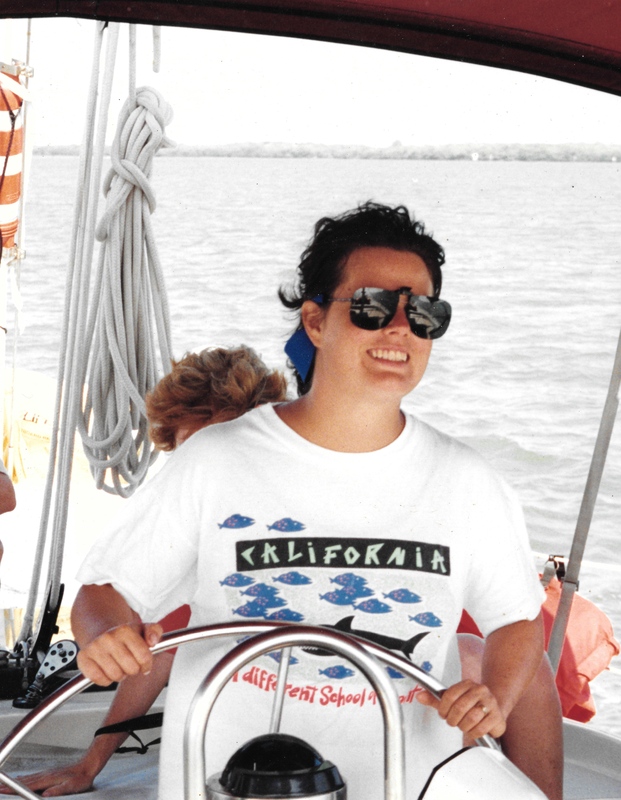 So, in the summer of 1995 I decided to give sailing another chance. I enrolled in a weeklong sailing course with a program called Womanship that had as its motto, “We Don’t Yell” and met the two instructors and 5 other women in Fort Myers. We sailed up to the area around Boca Grande and Gasparilla. It was glorious. When Sherod got back from Chicago, we ended up buying our first, trailerable sailboat, Los Locos, that we took with us to Florida in 1996. A couple of years and promotions later, we bought our Hunter, Promise. Some of the very best times in our marriage were spent on our sailboats. My dad told me this is his favorite picture of me which really moved me. Our time together this past week was sweet, very sad and productive: he is ready for the move. I am back home in Alabama, ready to get on with my own life. In some ways, this summer reminds me of the summer of ’95. I laughed when I saw the picture because those clip-on sunglasses were so dorky and because my hair was so dark then—it’s so gray now. It was good to see that the work of getting stronger and trying to be more true to who God made me to be began a long time ago. There’s more to do. That person in the picture? I’m glad it’s still who I am. I walked down to the center of Boquete one day this week. I needed to fetch some medicines for my dad from Farmacia Any—the local pharmacy. This is no Walgreens or CVS. When my mom was dying in 2011, the hospice team we worked with told us one of the biggest challenges for families in our situation was getting enough sleep. 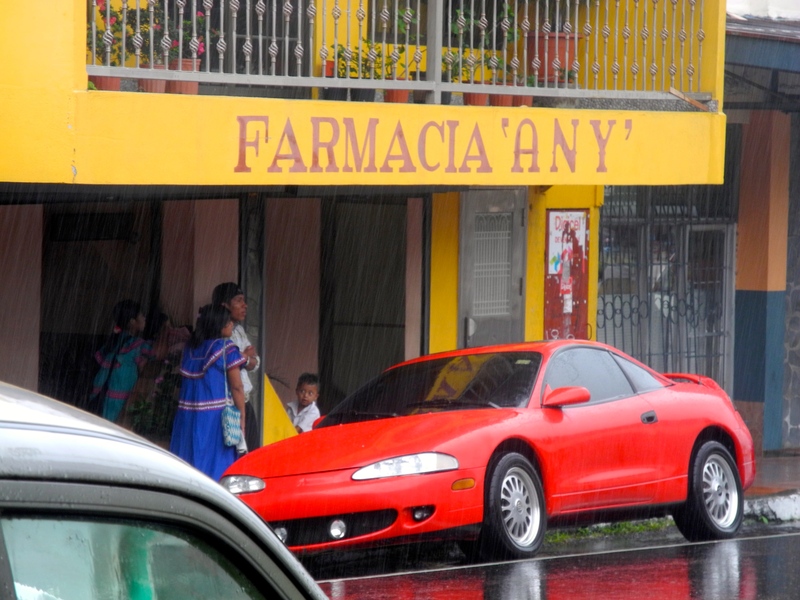 They recommended we go to Farmacia Any and buy “Sedorm”, which they described as a sleep aid. We followed their advice and indeed, got plenty enough sleep during that time. We took turns though, each one of us taking a turn no taking a Sedorm pill to be alert and responsive if my mom needed help in the night. It was only after I got back to the US that I found out it was equivalent to Ambien. Not something you’d buy over the counter in the US, that’s for sure. I waited my turn at Any’s on a sunny mountain morning this time around. The woman ahead of me asked the price of one of the medicines her baby son needed because he was sick. When she found out what it cost, she asked to buy 4 pills, enough to last for 2 days, though the script she had with her was for a full week. She said she’d be back to buy some more pills when her husband got paid today. There were no questions asked—the sales woman took out one of the boxes of this medicine, opened it and tore off a placket of four pills to sell the harried, worried mama. Between that customer’s turn and mine, a woman from the Ngobe Bugle indigenous people of the area came in. She was wearing the typical long, colorful garment of her culture and was barefoot. When the saleswoman saw her, she bent down behind the counter and came back up with two phones and a charger which she handed to the indigenous woman. The transaction was fast and fluid and one could tell it was a fairly frequent occurrence. Up in the area behind Boquete, on the slopes of Volcano Barú, where the Ngobe Bugle live, there is very little access to electricity. I gather she had come down to do her business in town and has a standing arrangement to get her phones recharged at Any’s. To me that is the essence of life on the edges: no power in your home and two cell phones you charge at the local pharmacy; a community that makes do, dispensing with a lot of regulations as it flexes to make medical care available. A poignant generosity too: imagine a store you typically frequent being willing to receive your cell phone, charge it and return it to you as a perfectly natural thing to do. My mother’s closets are all sorted out now. We took 11 boxes of stuff to donate for a rummage sale that’s being held on Sunday to benefit animal health care programs in the area. There’s some stuff left that my aunt will come collect to pass on to my cousins and their children and I expect that too will be gone by the time I leave. The sorting got harder and harder, as I did my work. It just happened that the last closets I tackled were the ones that had my mother’s crystal and china, some of the most beautiful, magical remnants of mother’s gift for hospitality. You could have made a cartoon out of my packing: how the pieces felt like they wanted to stick to my hands, how I put things into boxes, took them back out, stood there steeling myself, refusing to cry, and then, finally, put them back down. I couldn’t watch as the boxes were loaded up in the car and were taken away. My mind understands fully what a more instinctive part does not—my mom lived in another time and another place. Sherod and I have very intentionally chosen a far more simple life that does not accommodate all those things. I was also struck, as I went through closets, by how many of my mom’s belongings had never been used. I can’t count the number of times I watched my mom purchase something and come home and put it away, saying, “this is for a special occasion”. To judge by how much was left unused, there were not nearly enough of those. Instead of letting that make me really sad, I have tried to figure out what it all means. Less encumbered, having lost or had to let go of a fair amount along the way in these past few years, I realized I am don’t set much store any longer on special occasions. 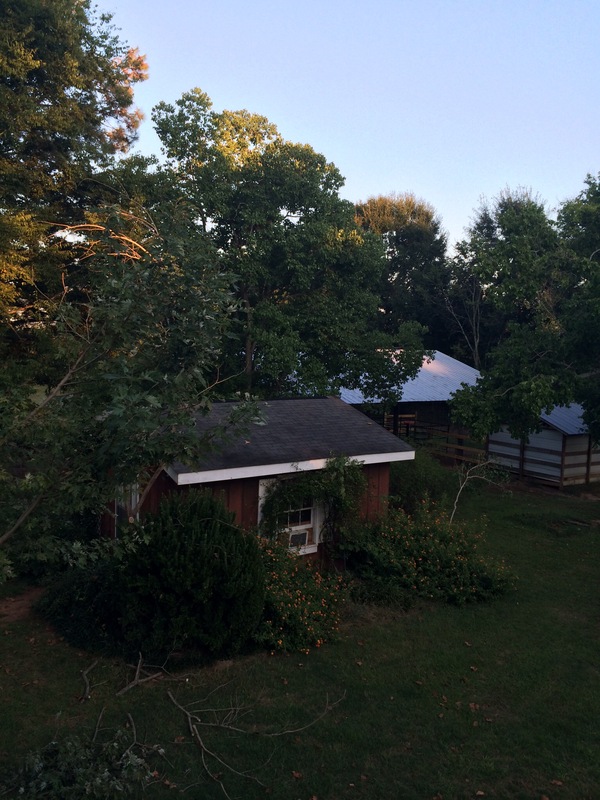 This summer, this very ordinary summer in the Alabama countryside, was a miracle because even though I was grieving, even though there was a lot to work through, one moment after another revealed itself as beautiful and overflowed with grace. What took my breath away was light coming through our trees, the sweet coolness of early morning on a farm. The fact that I really could mow a whole pasture with a tractor and capture and store a little bit of sunshine in those cans of peaches I will enjoy with Sherod in the late fall and winter. The new friends I began to make, who checked up on me, who brought watermelons or zucchini bread or asked me how my week was going when I went to have breakfast at the Highway 80 Café. I hope I get to live the rest of my life with renewed wonder for what is right in front of me right now. My definition of hospitality has changed too, shaped by all the times I made Eucharist, where simple white linens, a ceramic chalice and paten and small bits and sips were more than enough. More and more, I aspire to the hospitality of a small pharmacy in a small town in the Global South where a mom who can’t afford to buy all fourteen pills can start by buying 4 and an indigenous woman is welcome to leave her phone to charge. I started learning about hospitality from my mami and her beautiful things and I will always, always be grateful to her. By letting go of those very things as completely as I’ve been challenged to this week, maybe I can take another step into that other kind of life that says, “there is a place at the table for everyone, every single person, no matter your color, your race, your sexual orientation, your place in society, your education or your political views. Everyone is welcome. And of course. Give me your cellphones. I will get them charged up for you”. My dad has sold his house. It’s a practical decision based on his declining health. Without medical insurance, he needs the liquidity and fortunately, he was able to sell the house well. Instead, he will rent a much, much smaller house and there are many reasons why this is all hard on him. Perhaps the hardest is he kept a handful of my mom’s ashes and buried them in spot here in the garden overlooking the river and her beloved orchids. Two or three or even four times a day, he goes out to be with his memories of her and this extraordinarily beautiful piece of land that cradles my mom’s very few earthly remains. I came to spend a week with him to help make the move. Today it’s been all about the closets. I’ve only gotten through one of the hallway closets and there are 4 more to go. They reveal the layers of my parents’ life together—I found the awards and medals my dad received from Sweden and Colombia including the one he got when he was knighted by the King of Sweden. A scrap of the fabric that my mom used to reupholster the bedboard in their room—I was still in elementary school when that happened. One of the things my dad keeps saying is “make sure you take whatever you want for your own self”. Of course there’s a part of me that wants to scoop up first one thing then another, mainly because so many have memories attached to them but also because my mother truly had exquisite taste. Being surrounded by beautiful things was so important to her. I absorbed that without every having examined it consciously. Today there was almost nothing that tugged at me except these three things: my mother’s high school class ring. 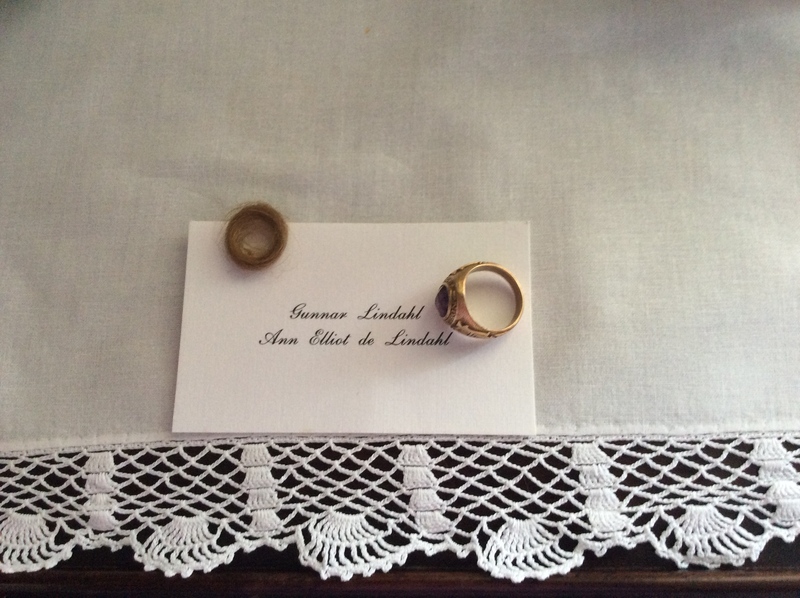 One of my parents’ engraved calling cards; theirs was such a proper time and place. A lock of hair that fell out from a small box, a lock of fine, soft hair that belonged to one of the three of us who were once her babies. I still have to go through four large closets that are pretty jam packed. And that’s just the start of my work.